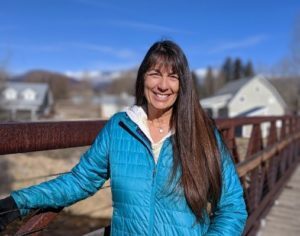 In April of 2019, Eagle River Watershed Council and Eagle Valley Land Trust announced the hiring of Sue Nikolai to oversee their Land & Rivers Fund program. Eagle Valley Land Trust and Eagle River Watershed Council together are Eagle County’s only non-profits exclusively focused on conserving, protecting, and restoring rivers and open spaces for the benefit of the community. 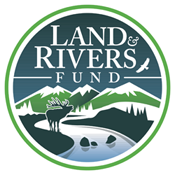 Together, they have launched the Land & Rivers Fund. The Land Trust and the Watershed Council help local businesses establish and promote the program to their customers & clients who voluntarily participate by making an optional, small (usually 1%) donation with their purchase. Funds collected help promote and restore healthy rivers, clean water, conscientious development, preservation of open space, wildlife and fish habitat, agriculture, water rights, and economic diversity throughout the Valley. Once the program reaches $100,000 in annual net revenue, a portion of the funds generated will be allocated to a grant program, which will be open to organizations and entities working on land and river conservation projects in Eagle County. Nikolai has lived in Eagle for 13 years with her husband, Markian Feduschak, and their 2 daughters. She worked for the Colorado Outward Bound School for 25 years as a field instructor, Program Director and Director of Client Services. Nikolai has also been involved in the ski industry in Colorado for 34 years. She currently works part-time as a patroller at Beaver Creek, and previously worked at Copper Mountain on patrol, and at Eldora Mountain Resort and Hidden Valley Ski Area as the Director of the Ski Patrol. Growing up in Wisconsin in Aldo Leopold (conservationist and author of A Sand County Almanac) country, Nikolai was raised to appreciate, explore and protect the rural areas and forests by her parents. They spent a great deal of time hiking, cross country and alpine skiing, camping, caving, tubing down rivers and boating on lakes in their homemade houseboat. After moving to Colorado, Nikolai spent as much time outside as possible exploring her new state by hiking, alpine and backcountry skiing, rafting, mountain biking and trail running. She has devoted her life to appreciating and helping protect the natural areas through her support of environmental causes. Nikolai teaches students the same using a Leave No Trace methodology. Her passion is passed onto students that follow her lead in cherishing our wild places, volunteering for various causes and embracing an outdoor lifestyle. Nikolai is excited to meet with local business owners to discuss in more detail the Land & Rivers Fund. The amazing natural beauty in our valley, the recreational opportunities and the diversity of wildlife is the driving force behind the tourism industry, and the reason our many visitors and locals love being here. She is confident that businesses will be excited to help protect and preserve our natural landscape with the 1% surcharge.